With its black head, the Mediterranean Gull looks very similar to the Black-headed Gull. But the colour of the head is not the same. 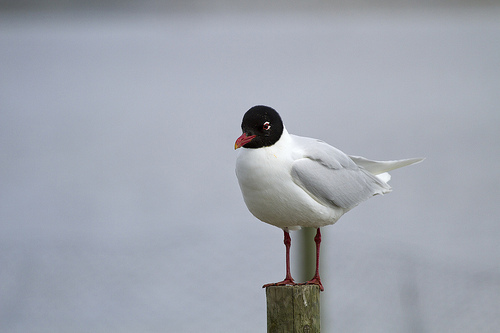 The Black-headed Gull has a chocolate-coloured head, the Mediterranean Gull has a pitch-black head. 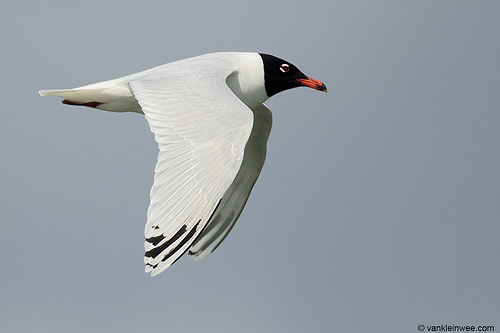 The Mediterranean Gull has a bright red beak, the Black-headed Gull has a dark red beak.